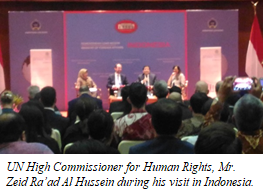 The Asian Human Rights Commission (AHRC) deeply appreciates the visit to the Republic of Indonesia of Mr. Zeid Ra’ad Al Hussein, the UN High Commissioner for Human Rights. It took place between 4 to 7 February 2018. As a regional human rights organization in Asia, we work closely with our partners and various civil society groups in Indonesia. We expect that your visit will bring changes and enhance the protection, fulfilment and promotion of human rights in Indonesia. The AHRC is also thankful that the UN High Commissioner for Human Rights is willing to send a mission to visit Papua and the West Papua Provinces to learn and see further human rights situations on the ground. We welcome this progressive diplomacy. Accountability is urgently needed. 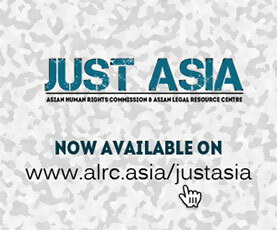 The AHRC has already described and highlighted the human rights situation in Indonesian, including PAPUA in our Open Letter on submission on criminal justice reform and human rights. The AHRC is grateful to the Indonesian Government for giving and providing open access to the large civil society (human rights groups), victims and the families of victims of various human rights cases. There wasdirect dialog and communication with the UN High Commissioner for Human Rights, Mr. Zeid Ra’ad Al Hussein during his visit inIndonesia. We note that Government openness is an important milestone, which should be immediately followed up with a concrete policy and program on the enhancement of human rights standards in Indonesia. Therefore, we do hope that the Government of Indonesia is not merely interpreting the visit of the UN High Commissioner for Human Rights as normative and ordinary diplomacy. The Government should knowingly consider that human rights must be incorporated and included in every Government policy, particularly those related to national development. It is common knowledge that since President Joko Widodo’s inauguration in October 2014, development of infrastructure and the economy is his major concern. In the last two years, massive infrastructure developments such as roads, ports and airports have been constructed in various provinces of Indonesia, including Papua. Under President Joko Widodo, the Government issued Presidential Decree No. 3, 2016 regarding strategic projects. This encompasses the following: 52 railway projects, 19 train projects, 17 airport projects, 13 port projects, 10 clean water projects and 60 reservoirs. All the above-mentioned examples are just a few cases of human rights violations that occurred under President Joko Widodo’s administration. We do believe that the examples are representative enough. They explain the form and the pattern of widespread human rights violations due to a lack of human rights standards within Government Policy on development and investment. In addition, the AHRC also received information that land conflict is still dominating a number of human rights violations in Indonesia. We take as reference the data of the Indigenous People’s Alliance of the Archipelago (AMAN), a national human rights organization. In 2017 the number of land conflict cases was 659 and resulted in 261 indigenous people being criminalized. Therefore, the AHRC is calling for the Indonesian Government to open access to the UN High Commissioner for Human Rights, especially his special, mission visit to Papua. We should like to emphasize that President Widodo’s administration critically implement recommendations of the latest Universal Periodic Review (UPR) of 2017. Government needs to review all of its regulations, both local and national. They must ensure that the regulations are not in violation of International Human Rights Standards. Indonesia is a state party to key international human rights Treaties. Government should be acutely aware that human rights are part of their obligation within the Duty of Care for their citizens. It is mandatory that Government fulfils this duty. Human Rights should not be treated simply as a tool of diplomacy to protect the image of Indonesia in the international forum of relationships.